The Blec Stone Rake is used for removing stones and surface debris during ground preparation. 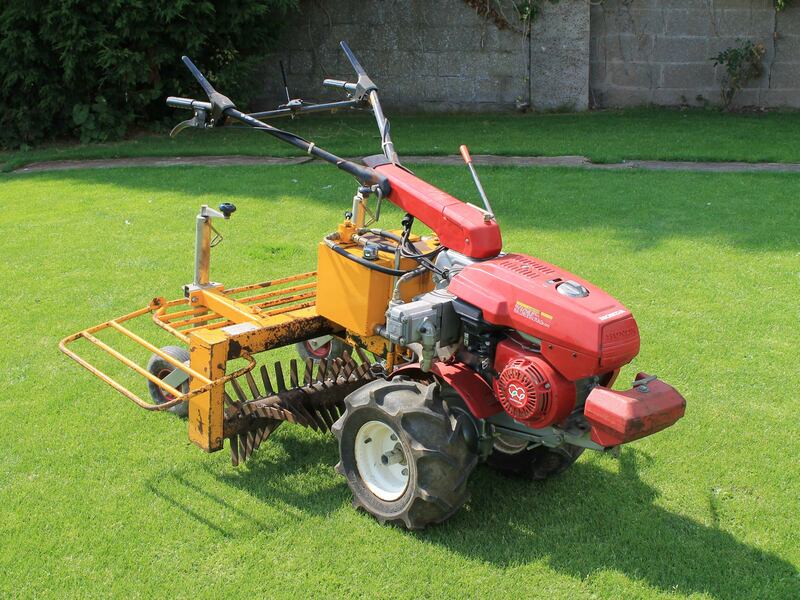 The stone rake, powered by a Honda petrol engine, levels and grades the surface leaving a tilth suitable for turfing or seeding. A hydraulic system is used to angle the rotor to the left or right so debris can be moved in either direction. The working width is 90cm. This Rotor Rake would be suitable for hire to prepare gardens, lawns and areas that are inaccessible with tractor mounted equipment.